always SO WELL LOOKED AFTER I forgot to use a $25 voucher that I received for my birthday oops how long are they valid for ? Thank you! Pleased to see that quality/range of magazines has greatly improved (i.e. no longer had to read Who, back to Vogues, and the new WomensMag very interesting). Please continue to have current releases of quality magazines. Always a pleasure to visit the Salon and have my hair done and feel wonderful when I walk out. Having recently discovered Foxy Vixen, I am really impressed with this salon and am very satisfied with their service. I travel across town to come a visit. Really lovely staff members who are get along with and an overall wonderful experience. Always a pleasure to visit the lovely ladies and to get some good advice and giggles too. 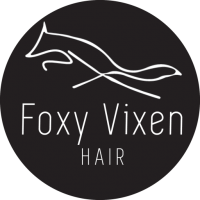 Celebrating over ten years in business Foxy Vixen offers a positive friendly environment where our stylists are passionate about their craft. Foxy Vixen is proud of our long-standing, loyal clientele and new clients always receive a warm welcome. Consultations are compulsory…Satisfaction is the priority!  At Foxy Vixen we are dedicated to making sure you are entirely satisfied and feeling great about your hair. We offer expert advice and provide luxury, professional products to cover the needs of your hair in between visits. As the top beauty salon in Albert Park, Docklands, Southbank and South Melbourne, we are dedicated to offering the full bridal service, including haircuts and styling. If you are in need of an expert stylist and colourist to customise and complete your look- Foxy Vixen is your salon! Traditional or contemporary, we know how to achieve what you require. For a fresh style and exceptional service in a relaxed atmosphere, call on Foxy Vixen. We’re the most popular hairdressers in Albert Park and the surrounding suburbs (Docklands, South Melbourne, and Southbank). Call us on 03 9682 4422 to discuss your needs and to book your next appointment.